Kinnaur Valley is growing its popularity year by year among the travelers seeking offbeat and secluded places in Himachal Pradesh. Every year I see more and more people looking forward to traveling to Kinnaur Valley, especially Chitkul and Sangla Valley region. Other one being Kalpa, which is mainly used as a transit point for a road trip to Spiti Valley. The prime reason for visiting Chitkul is that it is always fascinating to visit the last inhabited village in India before Tibet :). However, it’s not just Chitkul village that Kinnaur Valley has to offer a traveler. 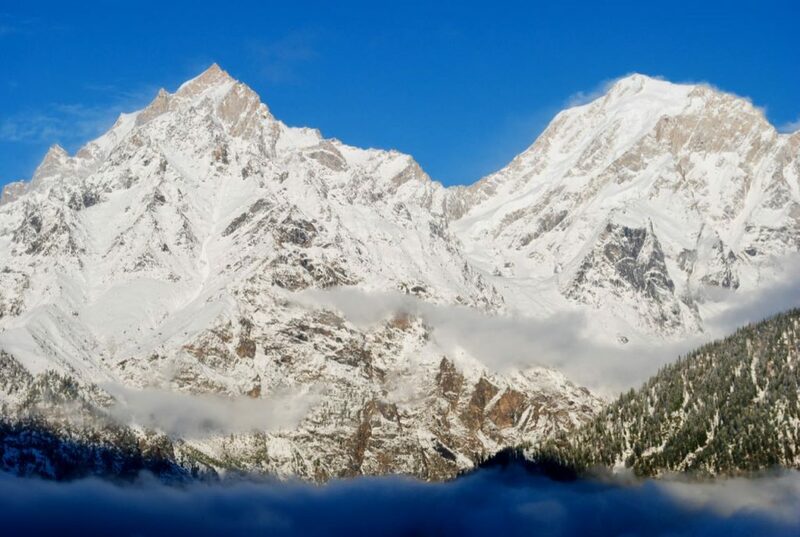 Kinnaur offers some more magical and enchanting places which are worth the visit any time of the year. To be very frank, there is not a single argument about the mesmerizing beauty this offbeat destination in Himachal has to offer us. Can I make a trip to Kinnaur Valley in 5 days? 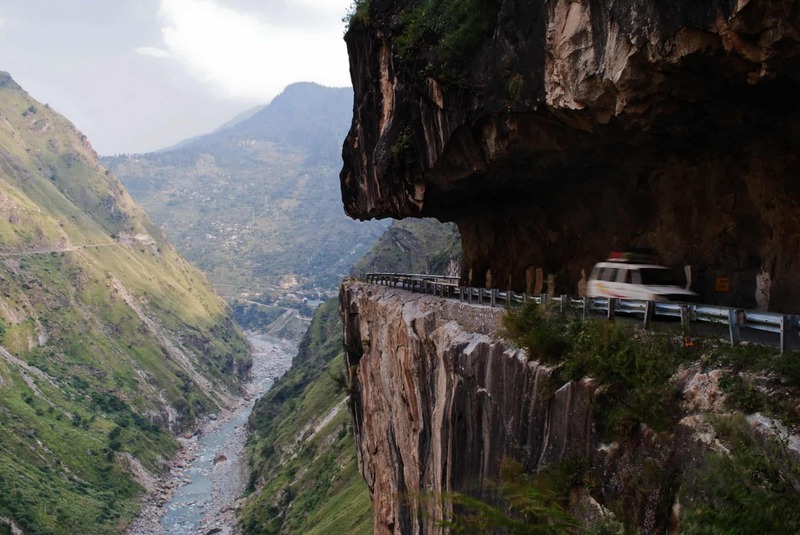 What is the best time to plan a road trip to Kinnaur? Where can I get taxis for Kinnaur Valley trip? Do I need any permits for Kinnaur Valley? In the past, I have already written a detailed travel guide of Kinnaur Valley. It covers all the aspects on how to travel to Kinnaur Valley, what do expect and where to stay. In this article today, I will share with you the most common Kinnaur Valley itinerary or a day by day travel plan that I suggest to many travelers every year. The travel plan will cover the lower part of Kinnaur Valley limited to places like Sarahan, Kalpa, Sangla, and Chitkul. Before we go into the meat of the article, let me quote the background of Kinnaur Valley from my previous article. Download your FREE high-resolution version pdf copy of this Kinnaur Valley trip day by day plan infographic guide. If, you liked it and found it helpful, please feel free to share it with your family and friends to help them too. This adds just the right charm of adventure in the trip. In winters, the presence of snow makes it just a jaw-dropping experience to be in Kinnaur Valley where the major attractions are the breathtaking view of Kinner Kailash, a mountain sacred to Hindus, close to the Tibetan border. The beautiful meadows in Sangla or Baspa Valley and Chitkul which is considered the last village in India where one can reach from Kinnaur side, are also covered commonly on a trip to this part of Himalayas. Given below is the day by day itinerary covering the majority of the places in the lower Kinnaur Valley in detail. It does not cover places of upper Kinnaur like Ribba, Nako, Ropa, Hangrang as some of those are recommended to visit on your Spiti Valley road trip. This plan covers all the places of lower Kinnaur including Kalpa, Sangla, Chitkul, and Sarahan. Also, it gives an option to travel from Shimla – Narkanda route and on the return journey to Delhi from Kinnaur, you can take the Narkanda – Chail route. Hence, this Kinnaur Valley plan offers a good balance of comfort and ease of driving on the rough roads of Himachal Pradesh. Hence, this itinerary is also suitable for families having senior folks as well as kids. I am sure it will help you make your Kinnaur Valley trip a memorable one too. Feel free to share this travel itinerary with your friends and families whom you know are planning a trip to this place called Dev Bhoomi of Himachal – Kinnaur Valley. 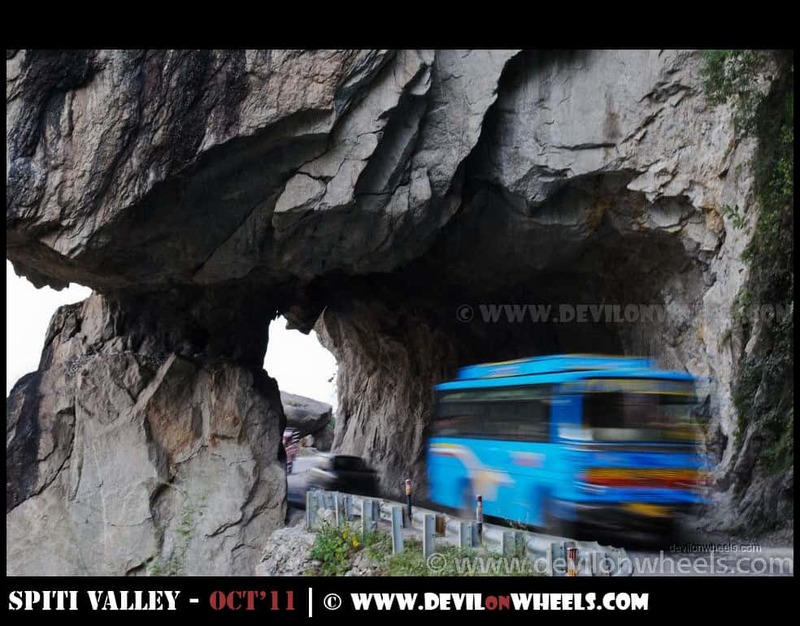 Let us look at this Kinnaur Valley road trip plan in 7-8 days in detail. Kinnaur valley temperature remains pleasant through most of the year except winters. In winters, from November to February period it is time for snowfall or snow in Kinnaur and hence, Kinnaur temperature plummet to sub zero. You will need to be prepared for such winter temperatures. 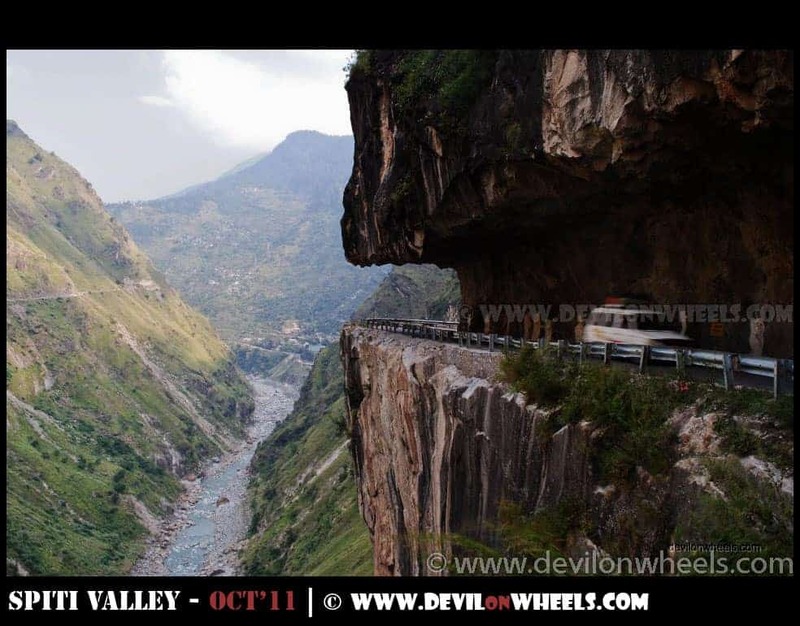 However, for the rest of the year, you will find favorable road conditions and temperatures in Kinnaur. Still, you can check my detailed article on best time to visit Kinnaur. Taxis to Kinnaur trip are available from Shimla for traveling to any destination in Himachal Pradesh. You can always get connected with local taxi drivers in this list of Kinnaur and Spiti taxi drivers. The costing may be anywhere around INR 20,000 depending on the number of days of the trip (as of 2019). In general, these local drivers charge from Rs 3000-3500 per day. Mostly there will not be an issue for petrol or fuel availability in Kinnaur Valley. However, I highly recommend that you top up at Narkanda, Rampur last petrol pump and ensure you top up at Reckong Peo. This is especially true when you are traveling in the winters to Kinnaur Valley. Hence, don’t worry much about fuel availability but there isn’t any harm in keeping this list of places where you can find petrol or fuel availability in Kinnaur road trip. Foreign Nationals visiting the protected areas of Spiti Valley and Kinnaur Valley are required to get the inner line permits or ILP. Domestic (Indian) tourist do not require any permits. If you are Indian, then just carry a valid photo ID proof of your nationality to be on safe side. You can get all the details for these permits and its process in my article on Kinnaur Valley and Spiti Valley Inner Line Permits. I am hopeful that the above itinerary will help you plan a memorable trip to Kinnaur Valley or at least act as a starting point for your upcoming trip to Kinnaur Valley. If you know your friends or family are planning a trip to Kinnaur Valley, do share this article with them to help them make a memorable Ladakh trip. Hi….I am planning to Travel to Sangla and Chitkul in late June. Does it rain in June?. Also I am traveling with my 2yr old kid. Would that be an issue?. I am planning to stay at Kufri, Rampur, Sangla and Chitkul. It would be around 7-8 days trip. question 2 -what will be staying options on these places Kalpa , Sangla and Chitkul? 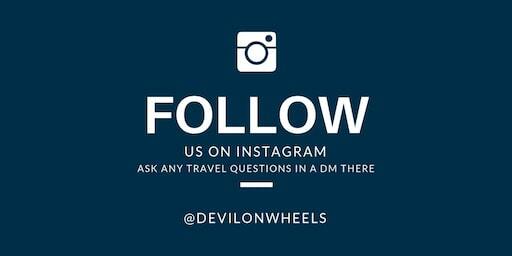 question 3 -we are trying to drive with pillon on discover 125cc . Is it possible or we will have to make it possible. A general question , usually how much time after it snows authorities take to clear the roads. Just replied to your question in QnA section. Is it possible to go to Kalpa, Sangla and Chitkul in the end of January by public transport? I have no time constraints. I would appreciate any information you can provide along with an itinerary if possible. Thank you. If you do not have any time constraints, it is possible to travel to Kinnaur Valley. The road remains open all round the year barring few days of heavy snowfall and time taken to clear the road at that time. Boii, when you will travel from Kalpa to Roghi village it will come on the way only, not far from Kalpa towards Roghi. your blogs are really nice and informative. Thanks for sharing your knowledge and experience with Himalayas. Please let me know if Two wheeler rental is available at Shimla for Lahul Sphiti [Kinner Valley] Kaja and return via Kunjum pass route. Is it advisable to take that route in December? or April May is the best time? We are two pax planning to travel there as you suggest between that two timings. 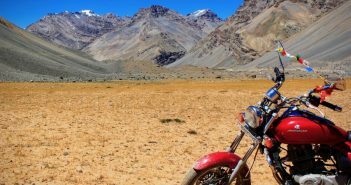 There are couple of bike rental shops in Shimla but in December it is best that you keep yourself to Kinnaur Valley only and do not venture into Spiti Valley unless you are OK with harsh winters and in case you not used to driving in harsh conditions best is to restrict the adventure max to Kinnaur. Thank you for your valuable suggestion. Then according to your opinion May is the best time if I want to cover all the places. An Itinerary guidance will be cordially appreciated. May or September is also a very good time to travel to Kinnaur and Spiti Valley. You can check a very balanced and most common itinerary for Spiti Valley followed by many travellers including me at the link here for 10-11 days: Most Common Itinerary for Spiti Valley. Have been a keen reader of your posts on HP.Needless to say that they have been helpful to us in planning our trips. Further to this, would like to know the road conditions from Narkanda to Kalpa. Have been on this route in 2015,when they were really bad. There was a landslide,due to which there was a long diversion with dangerous curves. It would be kind of you to revert on the current road conditions of this route primarily after Wangtoo. Thank you for liking the posts and am glad they were always useful in planning your trips to Himachal. Roads are in much better shape this year than last year, even the bridge is installed over Urni – Tapri diversion this year, so you will not need to take that road. Ameeta, they are also in OK shape this year. I am planning Kinnaur valley trip.. I am arriving on May 19th to Chandigarh and depart on 28th From Chandigarh. Can you please suggest a good itinerary… is May is the good time to visit.. I am interested in Chitkul area, keen on seeing Mt Kailash. Since it’s just next week, I have to arrange lot of things.. a. please respond at your earliest convenience. The itinerary mentioned in the article above is good enough for you with the number of days you have in hand. Spend more time in Sangla / Chitkul area than Kalpa with couple of extra days you have in hand. Let me know in case you still need any help. Hi Dheeraj, Can you please help us to finalize our trip! Can we drive by own and follow the same itinerary? We are planning in July 1st week. Please help and advise. Yes, you can drive by your own car as barring few patches of bad roads after crossing tapri, most of the road conditions up to that are fine to travel. Do you need any particular plan, you can follow the plan mentioned in the article above if you have those many days. Thanks a ton Dheeraj. This is really an important piece of information. We will start our trip on 1st July and will be back on 8th July. On 8th we will be back in Delhi. Yes, please help us with itinerary in which we can go by our own car. will take rest in nights (wouldn’t drive in night) Can do camping also if can find good camps. Having our own tent also. In that case you can easily follow the plan mentioned in the article above as you seem to have days in hand. In above plan there is no need to drive in night. This is Jayati Choudhury from Kolkata…gone through the article and found it very useful..Can I travel alone?? What is the cost of this Itinerary for Kinnaur Trip? Yes, many people travel solo up there every year. I will suggest that you read the article: How to make a budget trip to Spiti Valley by public transport which covers parts of Kinnaur Valley too. Dont want to go by public transport??? IN that case you are left with private taxis. 2. ABOUT CHAKA TREK IN KALPA : HOW MUCH TIME DOES IT TAKE AND WILL IT BE ACCESSIBLE IN 2ND WEEK OF MAY. Kalpa to Shimla is about 8-9 hrs of drive. Not sure about that trek though as I did not do it. I am planning a trip to himachal but have only 8 days in hand – 6th May reach delhi from mumbai @ 8am & 13th May head back to mumbai from delhi @10:20am flt. After going through my message request you to kindly guide/suggest on whether to cover Sangla & Kinnaur valley or do jibhi , gushaini .Pls suggest route & if self camping is poss & if we need to carry r own camping gear or will they be avbl for rent. So we are 2 of us planning on doing this trip with my male friend riding a bike & me being the pillion rider , please suggest where to rent a bike & whc bike will be best for the route. We have never done a road trip together & he’s never ridden in himachal before & I dont ride. so keeping all this in mind pls help me decide on an enjoyable biking experience in himachal pradesh. Also will it be a back breaking & buttock sore journey ?? Monali, I will recommend you make a trip to Kinnaur Valley as per itinerary mentioned in the article above and ease out in the nature. Leave other places for some other trip. From your suggested list, I chose Mr. Ramesh Kumar as the driver for my June 2017 Kinnaur Trip. Have paid him advance he asked for. Is he and his Xylo are dependable? Can I depend upon him to come at the correct time and pick me up from Delhi T1? Today is Bengali New Year. Season’s Greetings to you and all other reader friends. Anirban da, greetings to you and your family too !! Well, unfortunately, I cannot assure you on it but the fact is most of these drivers are put up by various members of the community if they liked their services or not. So, hopefully he should be there but please be in touch with him. You are doing a great job buddy by sharing your experience and knowledge, hats off!!. I need your input/review for my upcoming trip to Kinnaur in April. 13th April 2017 – Expected arrival time at Kalka 5:30 AM but it might get delayed till 9:30 AM. Take taxi directly from Railway station to Kalpa. I believe its 7 – 8 hrs journey. Expected check-in time at Kalpa – by 5 PM. 16th April 2017 – Road travel back to Kalka to catch train to Delhi. 1. Is it safe for a kid to take to Kalpa considering its high altitude 2960 m/ 9700 ft.
2. Which vehicle would be best for this road journey. 3. Whether 2 days in Kalpa would give us rewinding time with nature. 4. Does my itinerary seem practical? Kalka to Kalpa will be around 10 Hrs of drive. The plan is very ambitious. I will suggest with kid you do something conservative like Narkanda – Sarahan limiting. Or travel to Tirthan Valley side. Else it will be like touching and coming back and being on road mostly. Thanks a lot for your valuable inputs and time. Best wishes for the trip, feel free to post any further questions you may have for the trip. After three unsuccessful attempts, 3 couples of us are booked on 3rd June morning (Kolkata to New Deli) and New Delhi to Kolkata on 12th June evening. Last time in my Indiamike thread, you helped me a lot by giving valuable suggestions and guidance. 12th Chandigarh to Delhi Airport. Does the schedule look crazy? If doable – pls let me know. 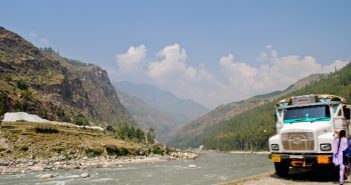 Is it possible to do a day trip from Kalpa to Nako and back to Kalpa ? Too hectic? My wife has undergone serious surgical operation and this trip will be her “Baby’s Day Out). Also both of us are senior citizens now. Can you please lend any support in suggesting the names and phone numbers of VIEW ROOMs with WC in budget hotels at each of the locations? Do we need to start Dimox before we start? If so when and at what dosage. How cold will be Kinnaur during the period of travel? Will it be peak season? Friend Dheeraj, please help like before. Good to connect you back here. Your plan is very comfortable and will enjoy alot. I will personally spend more time in Sangla / Chitkul region than in Kalpa/Roghi region, so change a bit there. Kalpa – Nako one day and Nako – Kalpa the next is good still but one day trip is hectic. You can get connected directly to some drivers in Spiti Valley or Kinnaur Valley at the link: List of Taxi Drivers for Spiti Valley & Kinnaur Valley. These drivers can come and pick you up from Manali / Shimla / Delhi / Chandigarh too, of course with a price of pickup as well. The rates of the taxis are about Rs 3000-3500 per day depending upon the number of days you plan to travel, more the days, less the price. It will be peak season yes. 2. Booked V21 Resort at Chail thru MMT – got some good discount. 8. Chandigarh hotel is being booked by my friend stationed at Chandigarh. Did not want to splurge and so booked budget hotel mostly. What will be the temperature like at KInnaur during first two weeks of June? any major rainfall threat? I hope you are feeling better now Anirban da !! Do have some food at Negi Dhabha or New Himalayan Dhabha at Narkanda. IT is a good choice to book budget hotels. Weather around the whole globe is whacky now and it is hard to predict. But in general it remains cool & pleasant in June in Kinnaur. Car hire charges, suggested hotel (Are Himachal tourism hotels good or opt to private ones? ), availabity of food, any worth forest place to stay/short trek? Anirban, the plan for Kinnaur Valley is documented in the article above, you will not go wrong with it. You can hike around Sangla Valley or in Chitkul. We are planing to visit leh in this june by bike , kindly recommend if its doable in one trip. Delhi- Srinagar -leh -Nubra-pangong-keylong -spirit valley -shimla – delhi. Pls also suggest the minimum number of days required if this is doable. Replies to your other post. 1,3,4. You can check a very balanced and most common itinerary for Spiti Valley followed by many travellers including me at the link here for 10-11 days: Most Common Itinerary for Spiti Valley. 2. Best time to visit Spiti valley is towards second half of September. 4. You can add the places to common itinerary as you may have luxury of days with you. 5. You can get connected directly to some drivers in Spiti Valley or Kinnaur Valley at the link: List of Taxi Drivers for Spiti Valley & Kinnaur Valley. These drivers can come and pick you up from Manali / Shimla / Delhi / Chandigarh too, of course with a price of pickup as well. Then, for budget of the Spiti trip you should read How to calculate cost or budget for Spiti Valley trip? Check the list of things to carry for Leh – Ladakh or other trip including basic medical kit, clothing, must haves etc. at the link here: List of Things to Carry for Himalayan trip. I am planning a trip to Manali-Dharamshala-Dalhousie. Just came to about Kinnuar from one of my friend. If i skip Manali, is it a feasible option to do Kinnaur- Dharamshala-Dalhouise? Vaishali, they both are in opposite directions. Best will be that you just focus on Kinnaur Valley as per above plan and enjoy its serene beauty. It’s me and my teen daughter who wants to travel as of now. I have seen the itenary, but can u suggest any tours who arrange this? We are a group of 3 families [including 5 kids] from Kerala who are planning to visit Himachal in May this year. The kids were extremely keen on encountering snow, but we hear that that will be possible only at Rohtang. We [the adults] are more interested in the Kinnaur region since we want a peaceful scenic trip away from the crowds. We have about 7 to 8 days, so don’t think we can make it beyond Sangla/Kalpa. Is there a freak chance we may see some snow anywhere along our trip? Kunjan, there could surely be remains of snow present in some hikes around Chitkul and Sangla in the month of MAy. However, there won’t be ton’s of it. You may have to hike a bit but as I said completely possible. In May Kinnaur makes much sense because Rohtang – Manali will be raided by tons of tourits. I am planning to visit kinnaur valley and spiti valley via shimla and come back via manali after visiting chandratal lake. I have about 12-15 days on my hands. I will visit in Mid June 2017. I wish to make this journey on a budget and by public transport , so what would be the ideal cost. Kindly please suggest an itenary and things to carry with me and also please suggest what kind of gear (shoes,backpacks,tents,etc) should I take or any other essentials. Also please give some tips for safety and easy travel as I going to travel solo . You can also check with [email protected] in case you looking for packaged tour only. They have been quite reliable to readers and members of DoW for the past 3-4 years now. Thanks for all your detailed information. Me and my parents are planning to visit kinnaur or Spiti valley during end of September this year. The main concern for me is the budget of the car. As we are only three, the per head cost in Innova or Travera is coming quite high. Is there any other alternative? No taxi guy will travel to Spiti or Kinnaur in a small vehicle AFAIK. The only other option will be to travel by road transport buses or shared taxis to reach Spiti and Kinnaur and within Spiti and Kinnaur take private taxis for local sightseeing. This will help bring down budget to an extent. 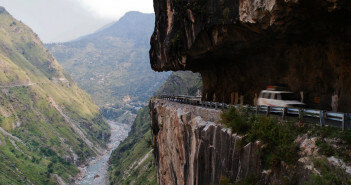 For Kinnaur Valley plan, you can follow the itinerary suggested in the article above. There is no flight option for Kinnaur. If you ask me about possible, then may be yes, but not recommended unless you want to be just on road. 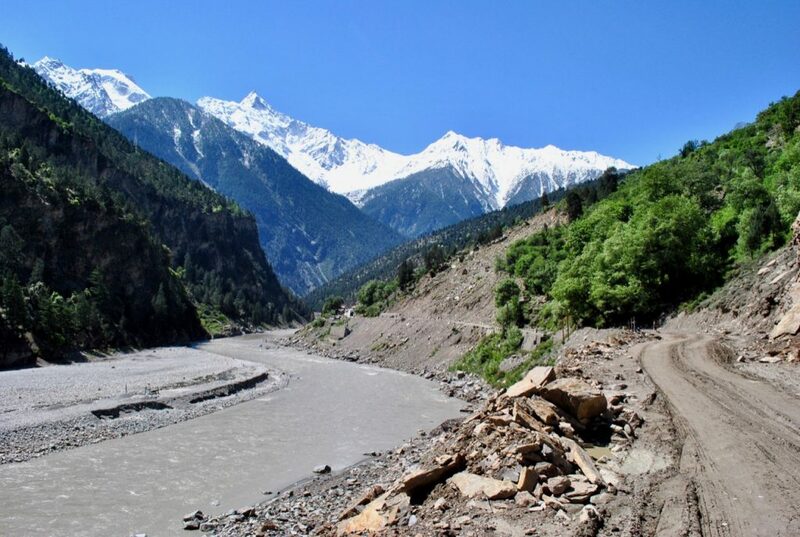 It is a good time to visit both Kinnaur and Spiti Valley but you will not be able to come back from Manali as Kaza – Manali road opens up in June only.